Tokai Challenger is a solar car from the Japanese Tokai University. 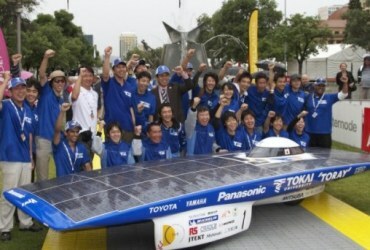 The Tokai Challenger became the winner of the 2011 and 2009 World Solar Challenge, a race for solar cars across Australia. The car is designed and tested in collaboration with students from Tokai University and several Japanese companies in the automotive industry. The Tokai Challenger covered the 1863 miles in 29 hours 49 minutes and it took an average speed of 62.5 mph. 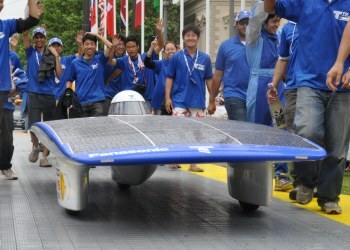 The Tokai Challenger also became a winner of the 2010 South African Solar Challenge recognized by the International Solarcar Federation and the Fédération Internationale de l'Automobile, a race for solar cars across South Africa. It covered the 2524 miles in 45 hours 5 minutes and it took an average speed of 56 MPH.